Stand behind the flat bench at a distance of 24–36 inches back. Hold a dumbbell in each hand. Feet are shoulder-width apart. 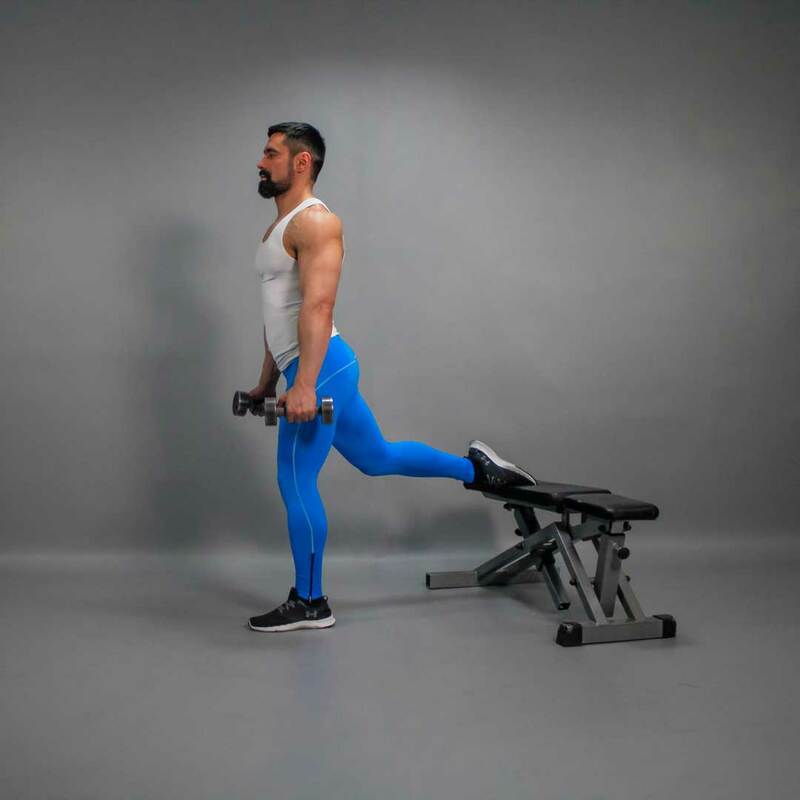 Bend your knees, hold the dumbbells at the sides throughout the exercise. Place one foot on a bench, resting your toes on it. The head is raised, back straightened. This is your starting position. Exhaling, lower down. 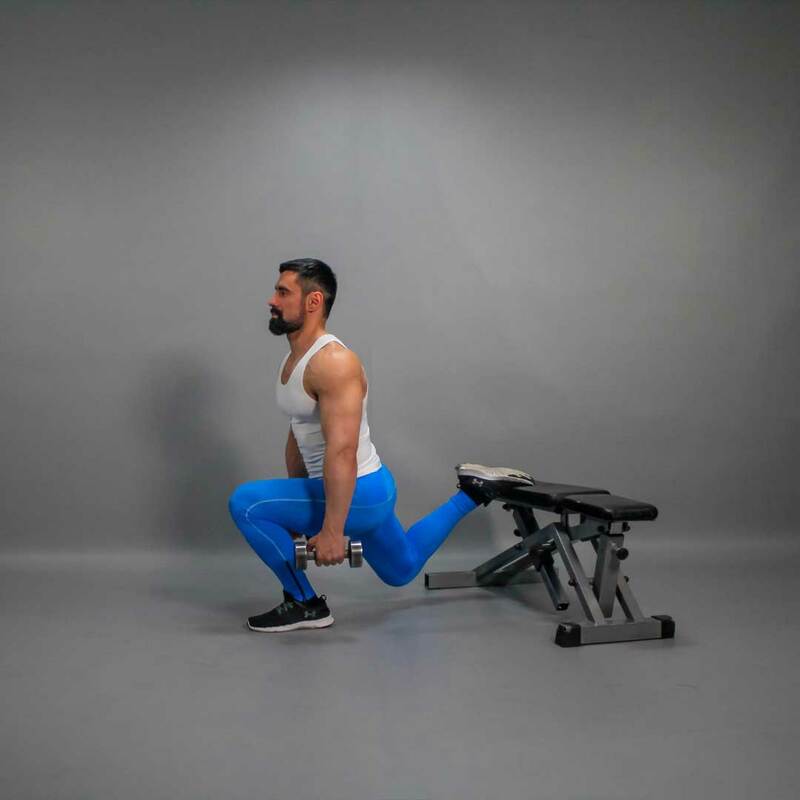 Continue this movement until the thigh is parallel to the floor. Your knee must be in one line with the toes of the foot while your chest should be above the thigh mid.